Elton John and his songwriting partner, Bernie Taupin, were far from the American Old West in 1970, but still they didn’t let that get in the way of their fascination with the culture and the code. Taupin, especially, drew lyrical inspiration from other similarly influenced bands of the era – Creedence Clearwater Revival and The Band, to name two. 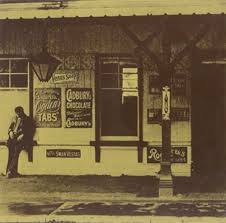 John contributed harmonica, steel strings and a slight twang. The resulting album – John’s third studio release, Tumbleweed Connection – kicked off a long legacy of successful concept albums for the musical partners. Craig will explore the breakthrough on the turntable this week for his Vinally Friday selection. 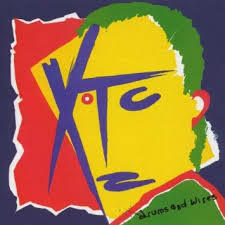 Robert will keep us in England with his selection for the week: XTC’s Drums and Wires. 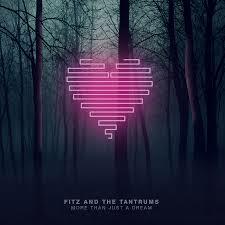 Finally, Tommy will bring us home with LA power pop group Fitz and the Tantrums, and their second studio album, More Than Just A Dream. We’ve played quite a few Fitz and the Tantrums songs on the Trail in recent weeks leading up to last weekend’s show at Big Sky Brewing Company, but this will be the first time we get to hear it in its vinyl format. Released in 2013, the album performed well on the charts but has disappointed critics who didn’t appreciate the band’s evolution from their early 1960s-inspired sound. If you haven’t already heard it, check out the video for the album’s biggest hit single, “Out of My League,” HERE. Enjoy the music. On vinyl. Because FINALLY it’s Friday! It’s Vinally Friday, only on the Trail. Special thanks to Pella Windows & Doors for sponsoring!